Spinning heavy weekend on this blog! I kept spinning on my 3 feet of sheep. I just wanted to get done! I woke up quite early on Saturday morning in order to spend some time with my wheel and to enjoy the quiet of the house alone. I started about here, you can see blue paired with yellow, then when the yellow ran out, paired with hot pink. In the end I ran out of blue and the hot pink ended up being the final color as a solid. 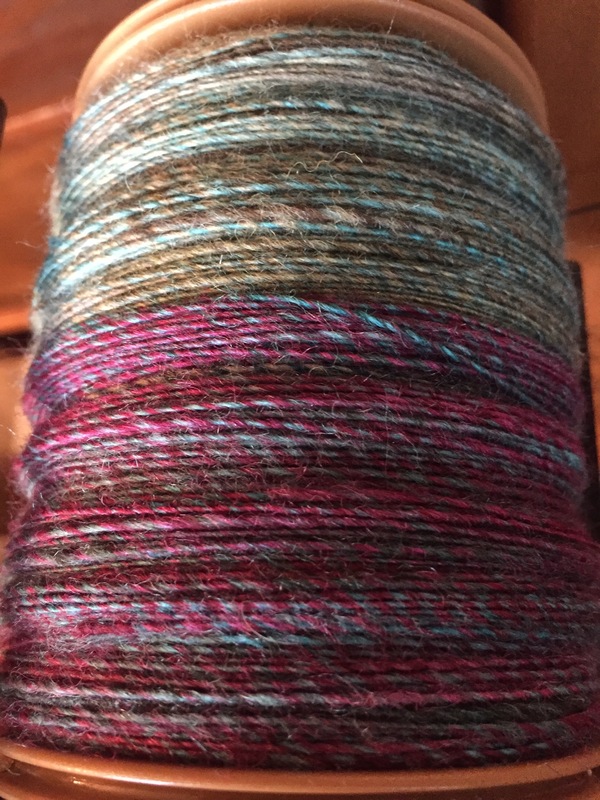 But, it doesn’t look that solid since it also had some great tones, and the silk looks very different than the wool. 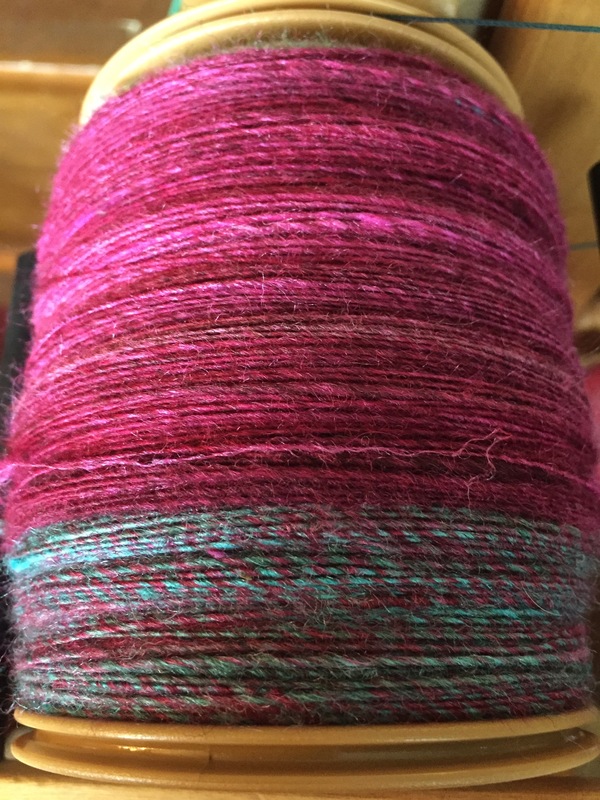 It’s my intention to chain ply this, but I am going to give it a day to rest I think. It’s a very full bobbin, and I just don’t want to be fighting with the singles. I have a lot of knitting planned for the upcoming weeks. I keep postponing sweaters and so on for smaller projects, but there’s a new sweater in particular I am eager to get going on!